On June 24th, the Lao government gave its response to the 196 recommendations presented at its 2nd cycle Universal Periodic Review held in Geneva in January. They contain few surprises. Perhaps most notable is the repeated rhetoric and continuing contradictions. The Lao government agreed to ratify the ICPPED convention during the 1st cycle UPR in 2010. Although it failed to do so, it again accepted recommendations to this effect from the Netherlands, Canada, Argentina and Spain (#20, 21 & 27). Italy, Brazil, Germany and France (#23-26) also recommend ratifying the convention, along with thorough and impartial investigations into related cases. The ICPPED is 18 pages and 7,234 words. Five years is ample time for a thorough study, particularly given the prior commitment to do so. Moreover, if all the allegations regarding this crime have been found to be false, why is it not possible to ratify the convention without reservation? In their recommendations, Germany, Luxembourg, Poland, Portugal, Sweden, Switzerland, the United Kingdom, Australia, Canada and Finland (#25, 94-101, 151) specifically call for a prompt and independent investigation into the disappearance of Sombath Somphone. Despite the UPR recommendations of 20 nations, repeated calls from numerous other governments and world leaders, and the conclusions of the UN OHCHR, the WGEID, the European Union, and nearly every international human rights organisation, the Lao government steadfastly adheres to the claim it has conducted a serious investigation. Lao authorities repeat that a committee has been established, although the membership has never been revealed; they restate all necessary steps have been undertaken, although no documentation has ever been released; they reassert their openness to suggestions, although those made previously have been summarily rejected. And they again suggest it may have been a conflict in business or “…with criminal groups”, even though they have never provided one shred of evidence to substantiate such unwarranted accusations. The government also reiterates it has issued reports, and kept interested parties and the family informed. But there have been no new reports for over two years, and even those contained little more than declarations the authorities were not involved, and that the investigation was continuing. Then why not accept assistance? Why does it take more than two and one-half years to release CCTV footage, to share documentation, or undertake the basic steps any serious investigation would conclude in one week? It is unlikely the state-controlled media will contradict this. Chile, Nepal, Timor-Leste, Canada, Honduras, India, Latvia, Costa Rica, Portugal and Egypt (#51-60) recommend the establishment of an independent national human rights institution in accordance with the Paris Principles. This was also recommended by Canada, Egypt and Germany during the first cycle. Unfortunately, there are no institutions or organisations with sufficient independence to question this. France (#129) recommends closer conformity with the ICCPR, particularly regarding freedoms of the press, expression and association, as well as for human rights defenders and NGOs. Several other nations make similar recommendations. Most are not accepted, again with the familiar phrasing that such freedoms are guaranteed by the constitution, and there is no legislation suppressing them. It is well known the media are state-controlled, public dissent is harshly suppressed, and human rights organisations are simply not allowed. Civil society organisations know equally well that any memorandum of understanding, organizational registration, or proposed activity meaningfully addressing human rights will be summarily rejected. While the government report and statements highlight consultations with civil society organisations, not one word is given about the content or outcome of these meetings, and there is little chance those organisations would dare to speak out independently. Nor is there any mention of the past or potential involvement of civil society in the implementation, follow-up or monitoring of the UPR recommendations themselves. Apparently their role in human rights education, advocacy, monitoring, and other such work is rhetorical only. Many of the responses to the UPR recommendations refer to limited capacity, that more time and resources are needed to study the conventions, consider the protocols, report on progress, and respond to requests. The demands of the UN Human Rights Council and its mechanisms are many. At the same time, the Lao government aspires to membership in that council, chairing ASEAN, graduating from Least Developed Country status, and other means to enhance its international status. These are yet more contradictions, and the need is not for more rhetoric, but more resolve. That resolve can best be demonstrated by sincerely addressing the case of Sombath Somphone. 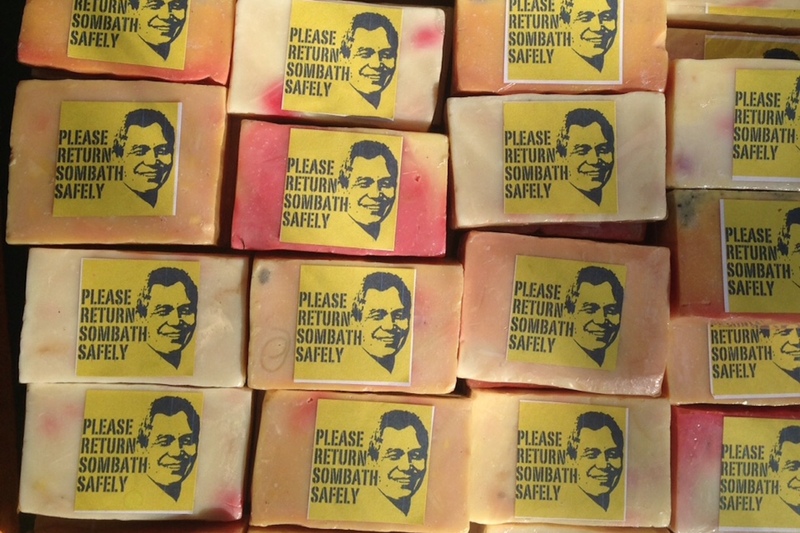 …the disappearance of Sombath Somphone is not an isolated case in an otherwise acceptable human rights landscape, but perhaps the most visible manifestation of a broader and deeper malaise. From a petition endorsed by 145 organisations, and released prior to the UPR in January. It was also included in subsequent letters to various national missions to the UN in Geneva.